No matter the year, 5 April is a key date for your calendar. It’s the end of the tax year and is a great time to spring clean your finances and ensure you’re saving in the most tax-efficient way. 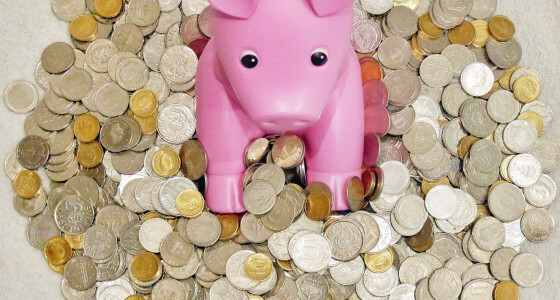 Here are three tips to make the most of your pension tax relief before the tax year’s over. You get tax relief when you make pension contributions, so the income tax you’ve paid is effectively refunded and added to your pension pot. If you’re a basic rate taxpayer, for every £80 you put into your pension, HMRC will add another £20. If you pay higher rate tax you can claim and extra 20% back and if you’re a top rate taxpayer you can claim an extra 25% through your tax return. Our VP Marketing, Jasper, recently completed the process and said it was a piece of cake! If you’re already a customer, PensionBee will take care of this for you and you can see your tax top-ups in the BeeHive. It’s worth remembering that tax relief is subject to an annual limit. For each tax year, you can get tax relief on pension contributions up to 100% of your annual salary, up to a maximum of £40k. This limit is the “gross” pension contribution, meaning it includes the top up that’s added by HMRC. If you don’t earn anything, the maximum contribution you can make is £3,600 gross. If you’ve already started withdrawing your pension, your annual contribution limit may be reduced to £10k. If you exceed the tax relief limit, you’ll be hit with a tax charge. If you haven’t reached your annual limit yet this tax year - for example you have an annual limit of £40k and you’ve paid £30k into your pension so far - you may want to maximise your annual allowance before the tax year is out, to make the most of the money you can get from the government. In the example we’ve just given, this would mean making a gross contribution of £10k before 5 April: you would put in £8k and HMRC will add another £2k. If you’re set to exceed your annual pension contribution allowance for the current tax year, you may be able to use some unused allowance from a previous tax year. You can carry forward allowances from the last three years, as long as you were a member of a registered pension scheme during those years. The annual earnings limit still applies, so even if you’ve carried over a previous year’s allowance, your pension contribution limit is still capped according to your annual earnings. For example, you have an annual salary of £50k and you’ve already contributed your annual maximum of £40k. You have generally used up all of your annual allowance, except for one year, where you were a member of a registered pension scheme but only contributed £25k to your pension. You would have £15k of unused annual allowance, but because your salary is £50k, you would only be able to carry forward £10k. Therefore, you can put £10k more in your pension before 5 April and you’ll still get tax relief on this extra amount. If you run your own company, you can choose to make employer contributions into your pension. Your pension provider won’t claim tax relief on these contributions, but employer pension contributions count as an allowable expense, so they can be offset against your corporation tax bill, as long as they abide by the rules for allowable expenses. With current corporate tax rates at 20%, if you make a £10,000 pension contribution, you save £2,000 in corporation tax. Also, bear in mind that employers don’t have to pay National Insurance on pension contributions, so by contributing to your pension rather than paying the money as a salary, you can save 13.8% in National Insurance Contributions. Unlike personal contributions, tax relief on employer contributions isn’t capped by your annual salary. Making employer contributions can therefore be a way of making higher pension contributions if you only take a small salary from your company. The limit of £40,000 still applies, although you can carry forward any unused allowance from the past three years if you were a member of a registered pension scheme. You can learn more about how to manage your pension in our self-employed finance guide. Basic rate taxpayer? When you make personal contributions to your PensionBee pension, we’ll claim your tax relief for you.